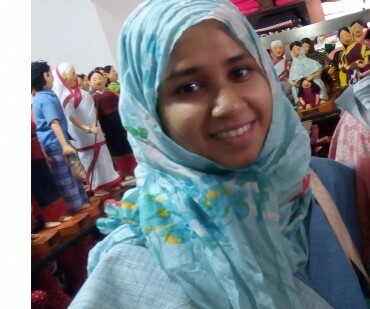 31 years (F), Unmarried, Muslim, jatrabari, Dhaka, Bangladesh. i lived in dhaka from birth .. my HSC 2005 ,,,BSc in physics and complete my masters in telecommunication engineering in east west university ..if you interes ...i lived in dhaka from birth .. my HSC 2005 ,,,BSc in physics and complete my masters in telecommunication engineering in east west university ..if you interest please guardian. Master / Post graduate in Science, currently enjoying working in Other profession area. I am tell u later. I am 5ft 1in - 154cm & 57 kg weight. I speak Bengali, English, Hindi. My blood group A(+), I was born in Dhaka, Bangladesh currently live in Dhaka, Bangladesh. I would like to marry but not decided time yet. I have no disability & physical condition.